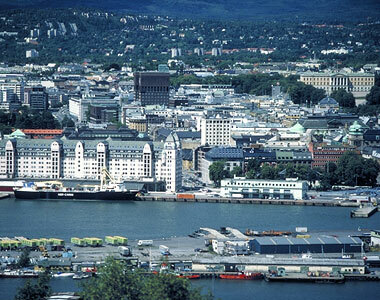 Compared to other capitals, Oslo is a very compact city with short distances to most things in the city centre. From Oslo Central Station, via Karl Johan street to the Royal Palace, it's only a 15-minute walk. Otherwise public transport makes it easy to reach popular areas like Holmenkollen and Bygdøy. 25 minutes by metro takes you to from the city centre to Holmenkollen, and in the summer it takes only 15 minutes by ferry to reach Bygdøy. 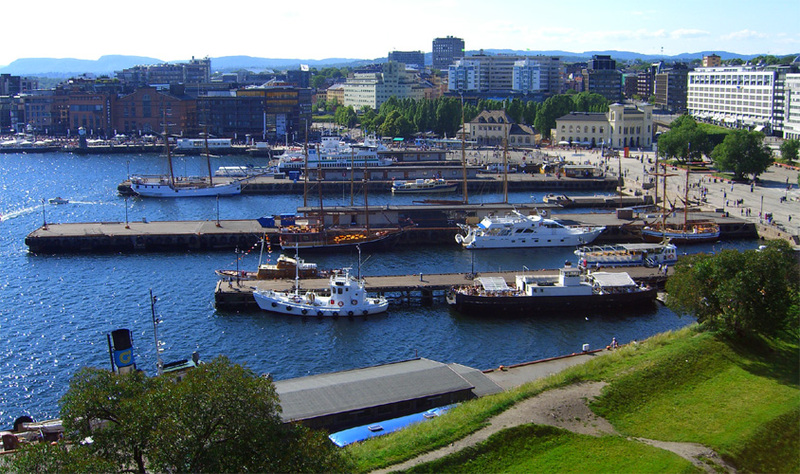 Each area in Oslo has its distinct character - take a look and find your favourite area in Oslo! Holmenkollen is the hill you see on the north western side of Oslo, and here you�ll find one of the most popular recreational areas in the city; Nordmarka, in addition to Oslo's most visited tourist attraction Holmenkollen Ski Museum & Tower (closed). In the centre around the main street Karl Johans gate, you find discos, night clubs, bars, jazz clubs and cafés in between all the shops, shopping centres and hotels. Downtown Oslo has a little bit of everything. 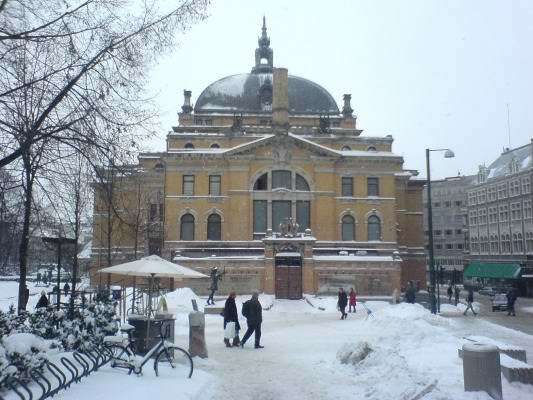 Oslo�s west side has traditionally been the area for high salaries and prices, and which gives the area a special atmosphere. The streets are lined with exclusive shops, bars and restaurants, and stately apartment buildings, but the area also offers cozy neighbourhood cafés, small shops and big parks for lazy summer days. Oslo east was once Oslo�s industrial- and working class environment, but the divide between Oslo east and Oslo west is no longer as distinct as it used to be. The area is blooming, and now you will find trendy bars and original shops in between cheap restaurants and traditional neighbourhood cafés. According to many globetrotters, Aker Brygge is the most attractive place in all of Northern Europe for persons who want to have fun, experience something unusual and eat well. New York has its South Street Seaport, San Francisco its Fisherman's Wharf and Oslo its Aker Brygge. Bygdøy is a peninsula on the western side of Oslo, and here you find several of Oslo�s most popular museums. Bygdøy is mainly a residential area, but in addition to the museums Bygdøy is also a popular recreational area during summer. 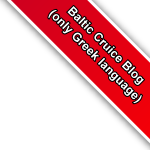 The Oslo fjord is Norway�s most popular recreation area. The Oslo fjord is a long gem, 100 km between Færder lighthouse to Oslo, and it is encircled by the country�s most densely populated area. In the summer the Oslo fjord comes to life. Only minutes from Oslo by ferry, you can enjoy yourself in the sun on one of the islands.